Homepage // Andrea Luehmann, Ltd.. All rights reserved. Andrea Luehmann, Ltd. is a boutique style tax, accounting, and auditing firm that has provided professional services to American subsidiaries of German medium-sized companies for over 30 years. Andrea Luehmann, Ltd. has represented the majority of its clients from their onset in the U.S.
Andrea Luehmann, Ltd. consists of 15 highly-skilled, motivated professionals from both Germany and the U.S., many with several years of international experience. To ensure comprehensive service Andrea Luehmann, Ltd. works closely with German speaking attorneys who also offer U.S. legal advice. Andrea Luehmann, Ltd. is an owner-managed, public accounting firm specializing in tax, accounting, auditing, and consulting services in the U.S.
Our goal is to develop customized solutions for our clients by giving them individual advice and support. Due to our lean structure, we are able to make timely and precise decisions while never losing sight of the essentials. Furthermore, the continuity of our team ensures consistent, high-quality reliability of proposed solutions. We stay proactive by keeping in touch with our clients, continually seeking advice where needed. As a firm focused on the Mittelstand, we nurture personal contact with our clients through onsite visits and in-person meetings to assist with unique and developing needs. Established in 1986, Andrea Luehmann, Ltd. specializes in supporting German and/or German-speaking clients with financial interests in the U.S. Our consulting services are therefore tailored especially for closely-held medium-sized German, Austrian, and Swiss companies as well as high net-worth individuals. We focus on addressing our clients’ individual needs and challenges by providing solution-oriented concepts ranging from setting-up subsidiaries to in-depth advisory during acquisitions of existing companies. A long-term and all-encompassing view from an entrepreneurial standpoint is our persisting core objective. We take the time necessary to comprehensively understand the business of our clients so we can jointly make the right decisions. The majority of our clients have been family-owned over many generations. Every day we are committed to being a reliable and competent partner for them. We would be pleased to welcome you for a personal meeting with us. Andrea Luehmann, Ltd. is an independent and entirely network free public accounting firm that is open to cooperation on various levels. Our firm is a licensed CPA firm (AICPA) and also accredited by the German Chamber of Auditors (WPK) in Berlin, Germany. Our neutrality and collaboration with other public accounting firms and loose networks set us apart from many other service providers in the industry. We are convinced that network free collaborations and project-based teaming with other advisory firms establish an important foundation for the success of future generations. Consequently, we achieve considerable synergies and specialized experience in even shorter periods of time. Andrea Luehmann, Ltd. does not only see itself as a tax and accounting firm for our own clients, but also as a competent and reliable partner for other consulting organizations. Please feel free to contact us for further dialog about collaborations. Mr. Richter is a licensed Certified Public Accountant (CPA) in the U.S. as well as accredited Wirtschaftsprüfer (WP) in Germany. He has a degree in German Business Administration, derived in part through a 1-year exchange program at Trinity College in Dublin, Ireland. Prior to joining Andrea Luehmann, Ltd., Mr. Richter worked for Arthur Andersen, LLP and Ernst & Young, LLP in both the U.S. and Germany for over 15 years where he provided auditing and advisory services to medium-sized companies. 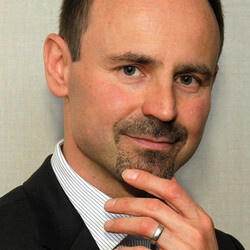 He is specialized in U.S. GAAP and German GAAP reporting (HGB). With Mr. Richter’s takeover of the firm in the summer of 2016, the long-term future and continued development of Andrea Luehmann, Ltd. as an independent management-owned organization is ensured. 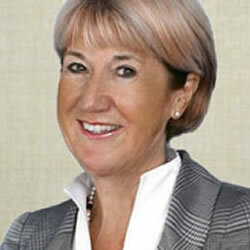 Mrs. Luehmann is the founder of Andrea Luehmann, Ltd. which has provided advisory services for over 30 years. Mrs. Luehmann holds a degree in Business Administration with a major in International Taxation from the University of Hamburg in Hamburg, Germany. Following her studies, Mrs. Luehmann worked for Coopers & Lybrand in Chicago for 6 years. She quickly recognized a distinct demand for accounting services for foreign, medium-sized subsidiaries in the U.S. and founded the firm Andrea Luehmann, Ltd. in 1986. In 2016, Mrs. Luehmann transitioned ownership of Andrea Luehmann, Ltd. to Mr. Richter and remains heavily involved in the firm and its clients in an advisory capacity. Our firm has a skilled workforce of highly motivated employees in the areas of taxation, accounting, and auditing. The majority of our experts have work experience on both continents and are accredited U.S. Steuerberater, CPAs, and Wirtschaftsprüfer (Auditors). Our teams’ cultural background and bilingual skills are key elements to our success. We are proud to say that our employee turnover is very low. We continually strive to maintain a healthy mix of qualified individuals - from experts with years of experience to recent college graduates. Within this model, we are always interested in adding additional skilled employees to our firm. We deliberately provide an alternative work place to larger public accounting firms. In addition to flex-time models, we offer interdisciplinary on the job training through various areas of tax, accounting, and auditing practices. We believe it is critical that our employees have enough time to focus on their clients without feeling rushed. Our employees also deserve sufficient free time to spend with their families and friends. We are convinced that this creates the highest potential of our staff and meets the needs for a modern and harmonious personal life at the same time. Please contact us if you would like to find out more or want to send us your resume. We are always seeking highly motivated, skilled employees to join our team who are preferably fluent in both English and German. If you are interested in being part of an expanding company with an international clientele, please send your resume to: info@luehmann-chicago.com. Please send your application (including your resume (CV) and cover letter) to Mr. Thomas Richter at tr@luehmann-chicago.com with "Audit Manager Andrea Luehmann Ltd. / your name" in the subject line. We look forward to receiving your application! We are seeking suitably qualified and high performing professional to join our audit team. You will be involved in providing assurance services to our portfolio of international clients in the manufacturing and service industry. You will be responsible for the execution of Andrea Luehmann Ltd.’s audit approach and leading audit teams during the fieldwork. In addition, you will have the opportunity to provide a variety of non-assurance services to our clients. We also offer flex time – the ability to work full-time during the busy season and fewer hours or taking time off during the slower months. Please send your application (incl. your resume/CV and cover letter) to info@luehmann-chicago.com with "Audit Senior Andrea Luehmann Ltd. / your name" in the subject line. We look forward to receiving your application!